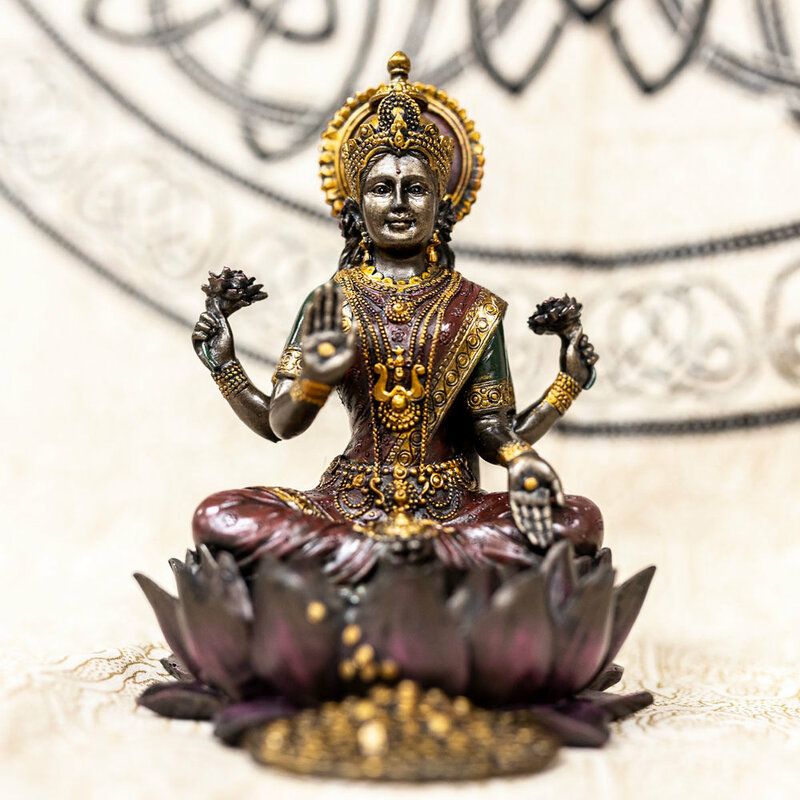 We have just received a new batch of statues related to Hindu and Buddhist Gods and Goddesses and thought a short explanation of the meanings behind some of the more common ones would be helpful. There are too many to cover in depth, but this list might get you started. Trimurti considers Vishnu, Shiva and Brahma as three forms of the supreme deity. Combined, they represent creation, maintenance and destruction. Saraswati is the Hindu Goddess of knowledge, music, art and wisdom. She is generally shown to have four arms (but sometimes two) that represent mind, intellect, imagination and ego. Ganesh is one of the best known and loved deities. Ganesh is known as the “Lord of Good Fortune” who removes obstacles and facilitates new beginnings. He is depicted as having the head of an elephant and is generally shown with four arms (though number can vary). Durga is the warrior Goddess who combats evils and demons. She is the fierce protective mother Goddess who is depicted riding a lion or tiger and has many arms for carrying weapons. Lakshmi is the Goddess of wealth, fortune and prosperity. She is depicted as being elegantly dressed and has four hands which represent the four goals of human life. You have probably noticed that Buddha statues vary greatly. From a serious looking Buddha to a jolly Buddha, the symbolism of Buddhism is generally due to the type of Buddhism that is practiced in a certain area. Common symbols associated with the Buddha associated with Theravada Buddhism include elongated heads and earlobes which depict wisdom and the ability to listen. A shaved head is also common and depicts a separation from vanity. Poses signify aspects of spiritual development such as enlightenment, serenity, protection, nirvana and healing. The “Laughing Buddha” is an icon that comes from Mahayana Buddhism. Rubbing this Buddha’s belly brings good luck, wealth and a carefree life. For general good luck, pick a Buddha holding a bowl, for a long and happy life, choose a Laughing Buddha wearing a large hat. If you want wealth and prosperity, you should purchase a statue with gold nuggets. A Buddha carrying a bag represents the riches the believer will receive or it could also mean that your worries are taken from you. Kuan Yin is known as the Goddess who embraces compassionate, loving kindness as the name means “the one who hears the cries of the world”. 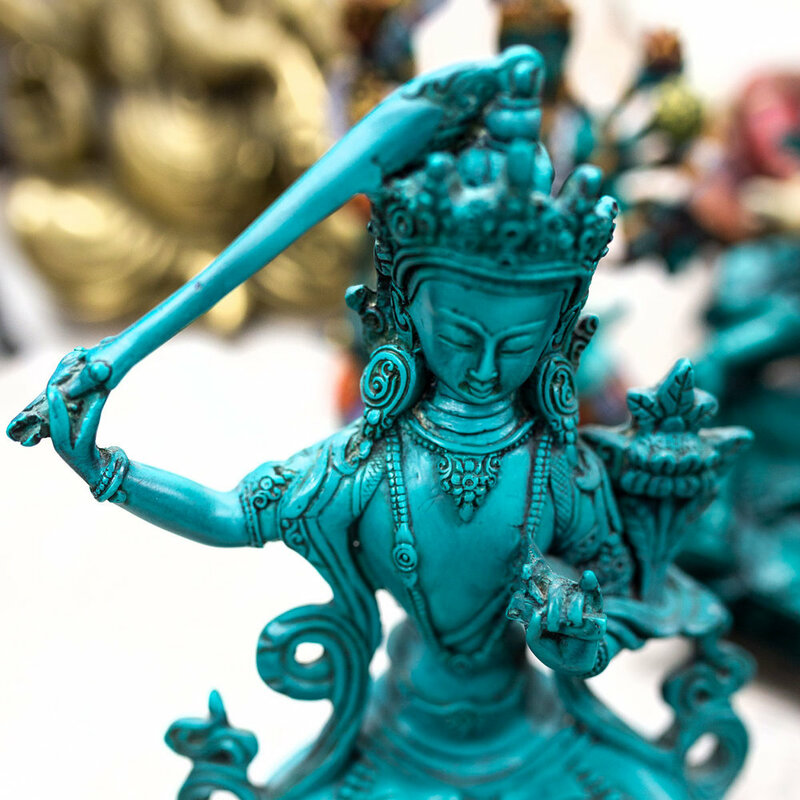 It is believed that having a statue of Kwan Yin in your home brings good luck and protection. Green Tara is a female Buddha and meditation deity. It is said her compassion for living beings and her desire to save them from suffering is known to be stronger than a mother's love for her children. Come check out our beautiful new collection of inspiring figures. They have truly brightened up our space and are sure to have the same affect in yours!